I got an interesting message from Rockingham County Board of Elections Director Tina Cardwell. North Carolina has modified its laws to make it perfectly clear stealing opponents' campaign signs and replacing them with signs supporting your candidate is illegal. 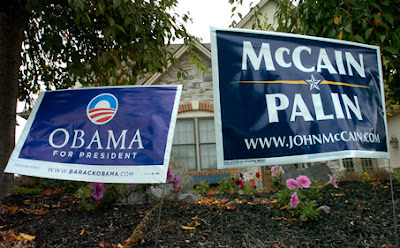 The Board of Elections has no authority over the placement of political signs. We do provide and review Political Sign Laws with Candidates when they set up their committees, and also provide this information to the public in an effort to inform. Signs unlawfully placed upon the property of another have no legal protection and can be disposed of by the property owner. This does not apply on days voting is taking place for properties that serve as a voting location. General Statute 14-384 makes it a misdemeanor to remove lawfully placed signs, including political signs. Complaints as to an alleged violation of this criminal statute should be directed to law enforcement by the complaining party, not the County Board of Elections. There is also a provision in General Statute 136-32(e) that makes it a misdemeanor to remove lawfully placed signs on right-of-ways. An alleged violation of this statute should also be reported to local law enforcement by the complaining party. Please note 136-32(b). This section of the statute describes the period as to when it is lawful for political signs to be placed on right-of-ways. In the past there has been some misinterpretation of the laws, which has caused people to steal campaign signs and then sue people who point out the impropriety of the theft. The NC Legislature has cleared up the confusion.